The origins of Martha (Reeves) and the Vandellas are a tangled mess, and no two stories exactly match. What can be said with some certainty is that local vocal group the Del-Phis were invited to Motown by sometime member and sometime Motown A&R secretary Martha Reeves, and that following an impromptu audition, the newly-christened Vandellas were signed to Motown and Martha became their lead singer. Whatever the backstory, the group quickly began landing big hits, becoming Motown’s biggest-selling group of 1963 and surviving several line-up changes to stay as one of Motown’s best-loved and most critically-acclaimed groups through to the end of the Seventies. Harder-edged and more “soulful” than the Supremes, the Vandellas offered the world a rather different Motown sound, exciting and mature. 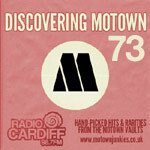 The final Motown incarnation of the group eventually melted away in 1971, and Martha Reeves’ solo efforts were stymied by Motown’s leaving Detroit; she later went into local politics. Martha and several former Vandellas are still touring to this day (though not necessarily together).